Inspired by our own need and other's, a couple of friends (André, Roberto and Tomaz) and I decided to increment Firefox' default find feature. "Schwarzenegger". This looks easy when you are looking at the word, but what if you do not have any idea what to write? Then you wonder "I would like to write something like "chuazenger" and for it to find similar words in the page". As another example, when you are on a page where accents are used and your keyboard is not configured to type such accents (~^`), the traditional find method will not be able to match with any word. Smartfind ranks how similar each word in the page (yeah, that might take time depending on the webpage ... heuristics exists to speed it up, but new ones are welcome) is to the given word (input by the user). For such, we are implementing the levenshtein distance metric. 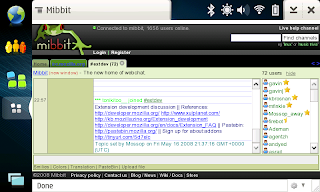 The "how similar" can be trigged by the user through the Edit->SmartFind menu, to be more or less restrictive. User is not from Austria and does not know how to spell this-big-name-above. SmartFind finds it for him. Improve the way it gets text content from the webpage (better xpath expression, which ignores "object" , "style" , "script" tags' text content). Fix problems with line break (lack of "br" tag) . Implement an user-intuitive way to walk through the list of most similar items found: currently we are static to the top of the list. 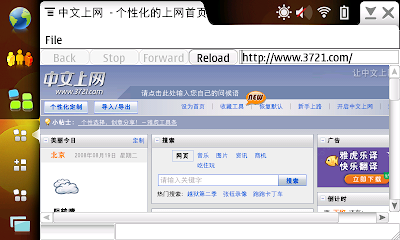 Port it to Fennec (Firefox-Mobile) browser. 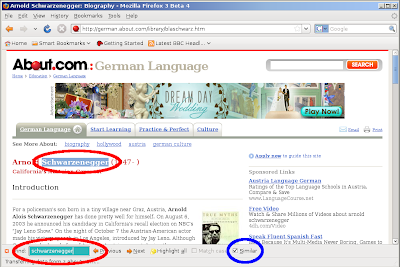 Make it work with other Firefox addons, including FindInTabs. Implement SoundEx into it (?). I had chance to see some really nice mozilla guys again including: both the father and grand-pa :) of mozilla mobile, dougt and choffman, respectively; the long term mozilla contributor on linux and always elegant, cblizzard; the mozilla brazil driver mgalli; as well as the nice leoz, romaxa and timeless from the microb project. From prism (+maemo), I got a fast but good talk to mfinkle: the point was mainly pushing prism forward on maemo and linux, and make it a fennec friend on the platform. The new mozilla embedding system is not just promising but real. Percy and blassey are also nice guys. It is great to see fennec and microb joining efforts toward a great mobile user internet experience. I wish I had met Daniel Glazman and John Resig. I wish to have had a shorter trip back: 7hs (from whistler to vancouver) + 5 hous waiting + 5 hous from vacouver to toronto + one hour waiting + 12 hours from toronto to são paulo + 12 hours waiting + 4 hours from sp to manaus = 46 ! It sounds like another buzz-word candidate on the internet field is the term "RIA": many big guys commercially interested on RIA seem to concept it differently. My understanding about the term stands on its origin: RIA are applications running of top of browsers essential features and infrastructure: connectivity, interoperability, cloud storage (data available anywhere, any time), responsiveness, and so on, and IMO this is what drives the real meaning of RIA or "Rich Internet Applications". PS: To avoid ambiguity we are generally referring RIA by "web applications". On the pc (w/ satisfactory processing capabilities), users can have their web browser w/ many tabs opened, their RIAs living each one on their own process and windows, as well as many other OS applications all at the same time and their PC are able to run great. But what about it all on the mobile space ? To be honest I am not really sure about the answer, *but* that is what this port job is mainly about: getting feedback about what maemo users get when they can somehow to integrate common WebApps (meebo.com, gmail, gdocs, gchat, ...) with their mobile desktop environment. 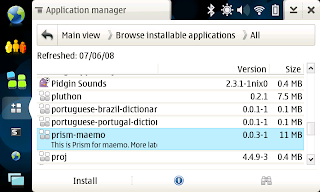 Although the TODO list is still big, the DONE list is accomplished so that it worth making "Prism to Maemo" project public. While I am still having trouble to get my upload account to 'Maemo Extras" repository working fine, I've set up one living under my personal web dir: .install file here. I will be working on this more seriously from now on with guys (luckily on #prism - irc.mozilla.org) to see what features are really interesting to have available on the mobile/maemo space. It is still an "under porting" work. so bugs are likely to be found and new releases are likely to appear. .deb sizes 10Mb and installed it takes 30Mb on disk. Since a while I've being paying some attention into the promising Mozilla Prism project (old WebRunner), specially over a mobile developer perspective. Prism is a Mozilla Labs advanced development project that provides "a simple XULRunner based browser that hosts web applications without the normal web browser user interface". 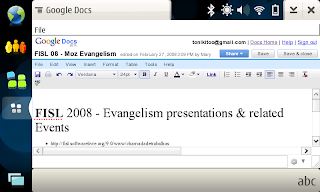 More interesting over is that the project came to me at the same time philip van hoof blogposted about "Web 2.0 email clients" (or something like this). My post could even get titled "mozilla-based web 2.0 email client" (or something like this), but Prism goes far away forward from that. SSB: applications with an embedded browser designed to work exclusively with a single web application (whereas typical browser chrome are rarely used). It doesn’t have the menus, toolbars and accoutrements of a normal web browser . An SSB also has a tighter integration with the OS and desktop than a typical web application running through a web browser. Distraction free browsing: "This is nice for those times when your have to have your web based email and docs open but you don’t need the distraction of the rest of the Internet keeping you from your work. Plus the memory footprint is kept to a minimum because it isn’t the ‘full’ browser and all of its extensions." Could that interest users of mobile devices ? Not sure about the answer, but I put some effort on that these days to answer this question with some practical stuff. First, I got blassey's xulrunner armel build for maemo, checked out prism source from svn, pulled Firefox 3 pre beta 5 source base (to work as my mozilla build system), built them all together and after some hacks I got Prism running on maemo OS 2008 w/ some webapps (meebo and gmail for instance). PS: Prism has nothing to do with web application development, it's simply providing a more desktop-application-like interface for web applications. Mozilla claims: "Unlike Adobe AIR and Microsoft Silverlight, we're not building a proprietary platform to replace the web ... Prism isn't a new platform, it's simply the web platform integrated into the desktop experience. Web developers don't have to target it separately, because". UPDATE: Greetings to MFinkle and other for all work on this. 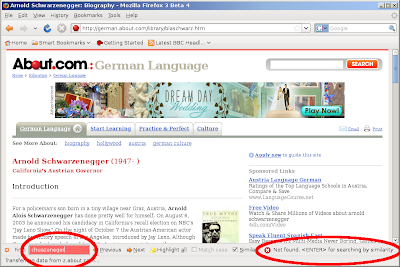 UPDATE2: Here is Prism as a Firefox 3 addon.